Thalius has over 18 years’ experience in the Global Financial Markets with an emphasis on the Asset Management, Private Equity, Hedge Funds, Capital Raising, Emerging Managers and Technology Platforms. Throughout his career he has established strong relationships globally with all major Banks, Brokerages, and Legal firms. Thalius joined Apex in 2009 and has been part of the growth from AUM$6B to in excess of USD$25B. He relocated in 2012 to Florida to lead the development growth of the business in North and South America . He has been instrumental in promoting Florida as a state of choice to the world of Finance with the famous headline in the NY Post – “Wall Street Flees NY for Tax Free Florida”. Thalius has appeared on CNBC, FOX Business and been working closely with Gov Scott and the BDB board of Palm Beach. He was recently appointed as Director of the Hedge Funds Association of Florida. 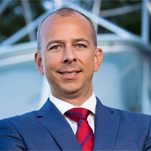 Prior to joining Apex, Thalius was Head of European Sales at Linedata driving growth in Europe and into CEE. Thalius was also Sales director at Thomson Financial (now Thomson Reuters). Thalius had responsibility for spearheading the significant growth in the institutional equities and wealth management for UK and Ireland. Managing USD$35 million turnover and annual growth of USD$7m.